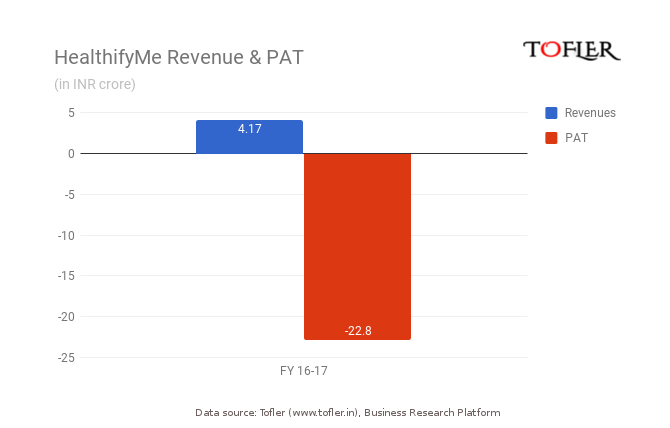 HelathifyMe, a home-grown digital weight loss platform, has reported revenues of INR 4.17 crore in FY 16-17. The company earns its revenues from subscription to the HealthifyMe app as well as through corporate wellness partnerships and through digital wellness partnerships with hospitals and clinics. The company’s latest financial statement revealed revenues of INR 4.17 crore, the bulk of the contribution came from the direct sales of their services. The profit and loss account reports INR 22.7 crore as losses, which is a significant jump from its losses of INR 5 cr in the previous fiscal year. These losses are due to increase in expenses. 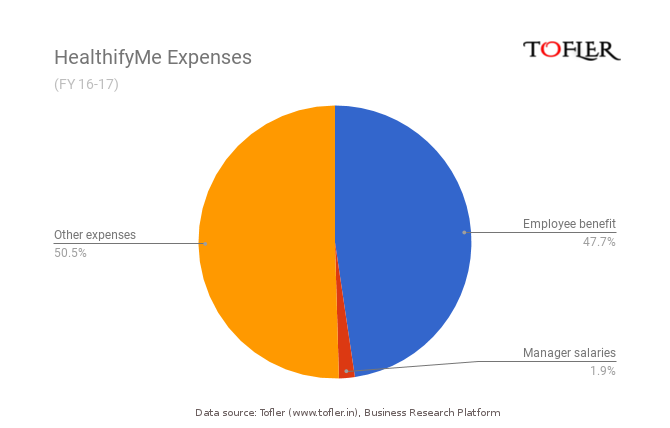 HealthifyMe’s latest balance sheet reported expenses of INR 27 crore in FY 16-17. The bulk of these expenses came from employee benefits and other expenses, which has seen a significant increase since the previous fiscal year. HealthifyMe is a weight loss platform founded in 2015 and based in Bangalore. The company has designed a fitness app for iOS and Android, that provides calorie and water-tracking, and fitness coaching online from over 150 of India’s best nutritionists, trainers and yoga coaches certified by international fitness and sports science organizations. Some services are available only with a paid subscription. The company has already hit the mark of 1 million users, and has a target of achieving 10 million downloads by 2018 and investing in product and tech innovation. HealthifyMe has 208 employees and presences in Delhi, Mumbai, Bengaluru and Chennai. The company has tapped into the growing wearables market and combined it with human assistance to provide services that can lead users towards better health. The company raised $6 million in their series A funding round, from investors like Blume Ventures, Inventus Capital Partners and IDG Ventures. The HealthifyMe app stands out in the fitness app market for its calorie counter of regional foods, against global competitors like MyFitnessPal and the closer-to-home GOQii and TrueWeight. The company has released a report (HealthifyMeter) on insights gained from the app’s usage. The company has partnered with institutions like Apollo Centre, Manipal Hospitals and Godrej’s Nature’s Basket to launch a HealthifyIndia movement.